Those that watch us include lots of political staffers and journos. STT’s posts are a staple diet for plenty of Liberal, National and Cross-Bench Senators, and their staffers, who have been using it as a trusted reference tool for their speeches, media releases etc for years now. Then there are our legion of loyal followers in rural communities all over the Globe. Pro-farming (REAL farming, that is), pro-community and pro-real power groups are better informed and organised, and more vocal and hostile, than ever before. STT would like to think that we’ve helped these dedicated individuals and groups a little, by providing them with the kind of factual ammunition that cuts directly across the treachery, lies and deceit – which are the tools-in-trade for the wind industry, its goons and parasites. STT was set up as a sanctuary, where the people who have been tragically impacted by – or who are fighting the threat of – giant industrial wind turbines can speak openly and freely – and without fear of vilification or ridicule. And that’s something we have no intention of changing any time soon. We think compassion and empathy far greater virtues than self-righteous condescension. If it’s the latter you’re looking for – try Kane Thornton, Giles Parkinson and the wind industry’s other useful idiots, over at the Clean Energy Council, ruin-economy and yes2ruining-us. Whatever “social licence” the wind industry might have had – wherever in the world they ply their despicable trade – disappeared long ago. The bullying and threats used by wind power outfits and their stooges doesn’t cut it any more. These days, the town halls – where wind scammers “consult” communities – are filled with people equipped with the real facts: which means these people aren’t about to be fooled by set-piece lines, from former second-hand car salesmen, about thousands of local jobs, “free” wind power and new fire trucks. In short, the wind industry – the product of nothing but lies and subsidies – lost the battle for hearts and minds in the bush (well, wherever it goes, really) – and, once lost, these hearts will never be regained. We say thanks to our many operatives here and around the Globe, who keep us abreast of happenings in their various theatres of war. Plenty of our posts are based on what this band of STT Champions sends us, so please keep the Tweets, Facebook posts, comments and emails coming in 2017. We know that you are using STT to help spread the message. When they learn of the senseless slaughter of millions of birds and bats, and the tragic suffering caused to hard working rural people by giant industrial wind turbines, reasonable people start to bristle. But, when they learn that – contrary to the ONLY “justification” for the $billions filched from power consumer and taxpayers and directed as perpetual subsidies to wind power outfits – wind power INCREASES CO2 emissions in the electricity sector – rather than decreasing them, as claimed – their attitude stiffens to the point of hostility to those behind the fraud and those hell-bent on sustaining it. Hard-working, decent, rural people throughout the world are fighting back – to obtain sensible energy policies that support growth, development and vibrant, prosperous rural communities. These are entirely reasonable people who have tumbled to the fact that they have been lined up as “road-kill” by their political betters to suffer the consequences of a policy built around an insanely expensive, utterly unreliable, intermittent power source – that can only survive on a raft of massive subsidies; kills millions of birds and bats; destroys communities; drives people from their homes; and otherwise makes life misery for thousands around the world. These people are out to smash a “policy” that – in a few years time, when it all inevitably collapses – will be revealed for what it is: an enormous government-backed Ponzi scheme, the foundations for which are greed and stupidity; and the “justification” for which can only be described as a circus of the bizarre. We’re not here to debate the wind industry – we’re here to destroy it! The events of 2016 have included crushing blows to the wind industry in Poland (where new rules were drawn up to ensure Poles can be guaranteed reliable and affordable electricity); South Australia’s wind power driven pricing and supply calamity, that’s turned the once prosperous and industrious state into an International laughing stock; and the recent case before the Irish High Court in which German turbine maker, Enercon conceded liability in noise nuisance to 7 long-suffering families, with the plaintiffs set to recover €millions in punitive damages early next year. With those events in mind, STT can probably afford to take our foot off the pedal: the wind industry appears well and truly capable of destroying itself, without any more intervention from us! As 2016 draws to a close, STT thinks it time to box up our festive loot, put our boots up and rest on our laurels for a bit. But while we take a little break, we’ve pulled together a dozen of our posts – one from each month – to remind you of how far the battle has come in just this last 12 months. South Australia was, for almost a decade, lauded as Australia’s “wind power capital”. After a statewide blackout on 1 November 2015, the chaotic events that unfolded during 2016 left South Australia an international laughing stock. Thanks to its ludicrous attempt to run on sunshine and breezes, South Australia pays the highest power prices in Australia by a mile (at least double those suffered in Victoria), if not the world, on a purchasing power parity basis. In less than 12 months, South Australians have developed a sense of gallows humour, surrounding the routine load shedding and blackouts that they have been forced to endure. 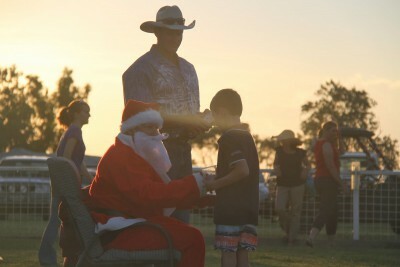 Backup generators, miner’s style headlamps and candles in bulk are likely to top South Australians’ wish lists for Christmas this year; and for plenty of Christmases to come. ‘New Matilda’ – is a politically correct, hard-‘green’-left bastion for all things cuddly and fuzzy (mostly its logic) – and, until the story we covered in the post above, a safe-haven for the dwindling wind-worship-cult. One of their number, Geoff Russell went to town with an article which pointed out the bleeding obvious: these things do not work, at any level. The fury which was directed at him for simply stating the facts and their inevitable consequences was well worth the ticket price. Thanks Geoff! Quite probably an artifact of its postwar political history, Poland’s political leadership was a whole lot more responsive to its increasingly angry proletariat than the German government has been (so far) to increasingly fed up and frustrated Germans. Faced with the usual outrage that comes from spearing thousands of these things into the backyards of people’s homes, Poland’s MPs were already rattled: coupled up with the inevitable fury felt by everyone being hit with escalating power bills, Poland’s government was forced to act. The wind industry went into meltdown as new setback rules were imposed, which had the immediate result of killing off hundreds of proposed projects, much to the relief of rural Poland. Moreover, rules that prevented wind power gaining grid priority have kept a lid on Polish power prices and also maintained grid stability in a manner not enjoyed by their German neighbours. In short, the wind industry in Poland was right to howl: the new rule changes have all but finished it off. Germany went into wind power harder and faster than any other country: the cost has been astronomical and the social and economic harm caused an unmitigated disaster. Energy poverty has struck millions of Germans, with more than 800,000 homes disconnected from the grid. Major industries have been crushed by escalating power prices, as well as an erratic supply; and the biggest of those are heading to the USA to enjoy power prices less than one third that suffered by German industry. Like its doppelgänger, South Australia, Germany is on the brink. Corruption and the wind industry fit together like hand in glove. In New South Wales – a hotbed of political corruption at the best of times – STT champion, Alan Jones helped expose efforts by a Planning Department officer to ‘helpfully’ rewrite noise impact assessments being put forward by the developer of the proposed Crudine Ridge disaster. Local superfine woolgrowers, Andrew and Penny Hundy happened to notice planning documents which had been doctored by a planning officer, including his edits and suggestions on how the so-called “independent” noise consultants might better “present” their reports; armed with the doctored docs, Alan Jones ripped into the Planning Department with all of his usual fury. Rotten doesn’t cover it. In June we reported on a paper published in the Journal of Wildlife Diseases by Roseanna Agnew, Valerie Smith and Robert Fowkes that recorded the increased stress levels suffered by badgers living in proximity with these things, which (measured as cortisol levels) were 264% higher than the levels measured in badgers living without a turbine in sight. The well-designed study refuted, once and for all, the so-called ‘nocebo’ nonsense cooked up by a former tobacco advertising guru, on behalf of his wind industry clients, which purports to explain the adverse health effects suffered by people exposed to incessant turbine generated low-frequency noise and infra-sound, as a figment of their febrile imaginations. South Australia is an economic basket case. With rocketing power prices and an erratic supply, it became evident during July that the wind power obsession that grips its hapless Labor government is hardly helping matters. BHP Billiton (aka the ‘Big Australian’) is far and away the biggest single employer in South Australia, with more than 3,000 directly employed at its Olympic Dam gold, copper and uranium mine in the state’s far north, near Roxby Downs. When wind power output collapsed on 7 July, BHP found itself paying $2.5 million in a single day for electricity that would ordinarily cost around $250,000. But, as the year rolled on, that was the least of BHP’s worries. 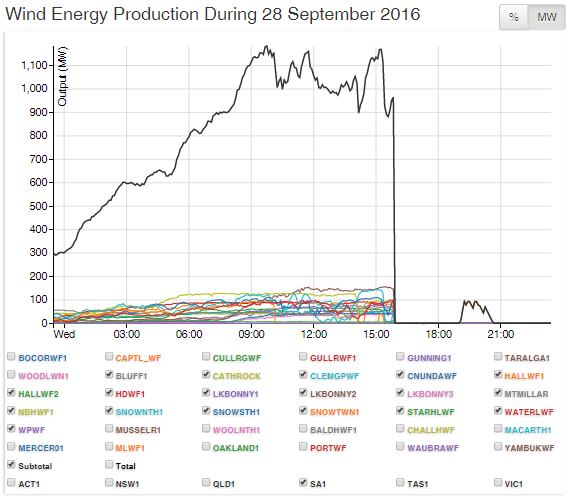 When wind power output collapsed on 28 September, BHP’s Olympic Dam operations were knocked off the grid for over two weeks; and, when wind power output collapsed again on 1 December, operations at Olympic Dam once again ground to a costly, unscheduled halt: the loss of power on those two occasions alone cost BHP $100 million. As a direct result of South Australia’s power pricing and supply calamity, BHP’s frustrated and furious management announced that it would not proceed with its proposed $20 billion investment aimed at expanding its operation at Olympic Dam, which would have employed tens of thousands during the construction phase and thousands thereafter. Starting in July, South Australia’s hapless Labor government began bickering with the Federal Coalition about the root causes of its power pricing and supply calamity. Federal Liberal Energy and Environment Minister, Josh Frydenberg keeps pointing the finger at what he calls ‘overambitious’ State-based renewable energy targets, knowing full well that it is the Federal government’s Large-Scale RET that built the wind industry in South Australia and which sustains it. The LRET is, by definition, an unsustainable policy: any policy which is unsustainable with either fail under its own imponderable weight; or its creators will be forced, ignominiously, to scrap it. The LRET is terminal and so is the wind industry in Australia, which depends upon the LRET for its existence and survival. STT hopes to deliver the eulogy for both early in the New Year. 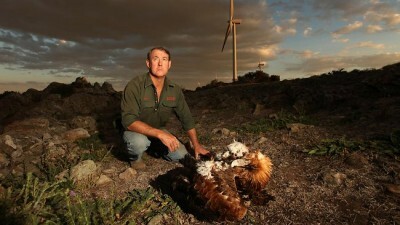 The wind ‘powered’ disaster that is South Australia guarantees it. STT broke the story behind South Australia’s 28 September statewide blackout before breakfast the following day (see above). Nature presents us with different kinds of challenges. High wind can create extremely high loads, and as a result wind turbines are normally programmed to shut down if the 10-minute mean wind speed exceeds 25 m/s. This may pose a significant challenge for the grid system – for example, if turbines in large wind farms shut down simultaneously. At 25m/s (90km/h) wind turbines automatically shut down as a means of self-preservation, a fact known to all in the wind industry, but, for some strange reason, completely ignored by the AEMO and the Muppets that claim to govern South Australia. While the morally bankrupt idiots to pretend to run South Australia blamed it on the wind (oh the irony! ), with a few clicks and help from the boys at Aneroid Energy, STT got there first and, as the AEMO was later forced to concede, got it absolutely right (see below). In the aftermath of the worst blackout in South Australian history, politicians responsible for SA’s power pricing and supply calamity engaged in panicked flim-flammery, while the media divided into a newly enlightened group who finally began to get a grip on the greatest economic and environmental fraud of all time; and wind worshippers who became enraged that anybody could possibly speak ill of their beloved. Occupying a fact and consequence free zone, journos at Fairfax and the ABC regurgitated Clean Energy Council press releases blaming everything under the sun, except the bleeding obvious. However, try as they might, South Australia’s long suffering power punters quickly worked it out: the reason that they are forced to pay the highest power prices in the Nation (by at least a factor of two); and the reason that they suffer routine load shedding and frequent mass blackouts was all due to an utterly meaningless power source abandoned centuries ago for what, to South Australians these days, are very obvious reasons. 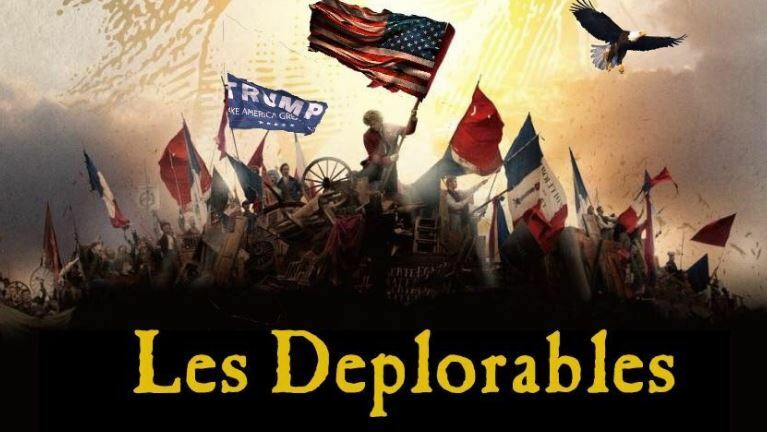 The ‘surprise’ (mostly for the cosseted intelligentsia) election of Donald Trump as America’s next president, completely rattled the wind cult in the USA and around the globe. Promising to Make America Great Again, Trump has placed the reliability, security and affordability of energy at the forefront of his objectives to return industry and manufacturing jobs to American soil. As he takes office on 20 January, we wish the new President well in that endeavour and may God bless America! 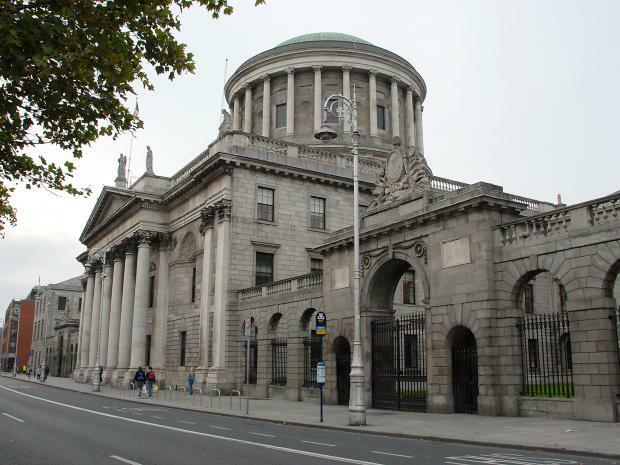 A small story, with enormous ramifications, is the case before the Irish High Court in which German turbine manufacturer, Enercon conceded liability for the nuisance caused by incessant turbine generated low-frequency noise and infra-sound to 7 Irish families. The torture started in 2011; the plaintiffs took Enercon to the High Court in March 2013; and a fortnight ago Enercon conceded liability. We understand from our Irish operatives that the matter returns before the High Court in April next year for punitive damages to be assessed. We also understand that the damages to be awarded for the suffering caused to the plaintiffs and their children will top tens of €millions. STT went about this work for our Country – not for any reward – save knowing that we will help spare thousands from the misery of living with incessant, turbine generated low-frequency noise and infrasound – as well as helping to obtain an energy policy that works for families and businesses – not against them – as current energy policy clearly is. Thanks for your support – together – we will prevail. STT hopes you all have a great Christmas and that you’re all ready to take it up to them in 2017. We are! Thank you to all who are working so hard to keep us up-to-date with accurate information surrounding the wind industry. Beats the ” Fake News”, the propaganda including the overstated, highly publicised, supposed generosity, of the wind industry and, of course, other quarters who refuse to listen to truth and take action. Or those who listen, understand, even agree, but take no action. And thanks to all the people with whom we work fighting the development of wind farms on the Southern Tablelands of NSW and beyond. We have made some valuable and honourable friends including some commenting here. Charley and I sit as community representatives on the Community Consultation Committee for the New Gullen Range Wind Farm. No easy task. Keep up the great work. We truly appreciate you. We here at TCW hope you had an enjoyable Christmas, STT and we wish you all the best for the New Year. We also concur with the comments from Son of a Goat, hopefully we have heard the last from Senvion, here on Yorke Peninsula. As Churchill famously said “Never was so much owed by so many to so few.” The masses who opposed Senvion’s Ceres wind farm project have a debt of gratitude to STT. Merry Christmas and all the best in 2017. Four years down the track and we wont forget your tireless efforts. As for Kano and the CEC, don’t worry about those boys for there’s no destruction like self destruction. Apparently the rumour out of Melbourne is that a few are unhappy with their Christmas bonus. Merry Christmas and a Healthy New Year STT. Hi all at STT and all your followers. I hope Christmas was peaceful. We have finally accepted the inevitable, taken out a loan and bought a house in town to get away from the soul destroying noise. We are working out the logistics of running the farm and maintaining 2 houses, but at least we are getting a good night’s sleep. It would be nice to think that one day the monstrosity next door is destroyed and our sons will be able to raise their children on the farm. 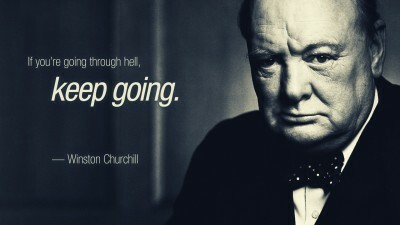 We live in hope. STT thank you for your time and devotion to your site, the information exchange throughout the world and to the primary goal of seeing the end of the wind farce. Too many are forced to live under the insane conditions wrought by turbines inadequate to protect the planet or to meet the unlimited greed of a conscienceless few. Subsidies are the evidence of the futility of renewables as a public service….it’s corporate self service and greed all the way. May 2017 be a ‘quieter’ New Year, stay safe one and all. None of us need feel alone or abandoned with STT support. And the support we all have for each other. Merry Christmas, STT from the Wilds of Wales. I don’t know who any of you are, or how many contributors you have in your army, but a huge thanks to you all for all your tireless work over the last 4 years. It’s looking promising but it’s been a hard boil to lance! Congratulations to STT for a great year in exposing the continuing fraud of wind power and its pernicious supporters. Heartfelt commiseration to the thousands around the world who have and are suffering as a direct result of living near the physical manifestation of this great fraud. The battle will continue and those responsible are beginning to feel the heat – next is to finally ‘cook their goose’. Happy Christmas, STT from us in Scotland where we’re keeping our heads down from Storm Barbara and Storm Conor and will await the huge constraint payments which will no doubt ensue so that we can smack the industry yet again. Enjoy your break; you’ve earned it. Many thanks for the wonderful posts and for being so on the wind ball. Have a great 2017 when it comes. We’ll be here, ready and able and swinging our own particular anti wind wrecking ball. Thank you STT for your 4 years of dedicated work, and the provision of a place where the voices of sanity can be made available to everyone, and where people can vent their distrust, dislike and desperation at what is happening them and our environment. Have a rest and no doubt come back rested and ready to help bring an end to this madness hopefully sooner than later. Merry Christmas STT.🎄 Enjoy the break & thank you all once again for the hard work that you put forward to help all of us in the fight against the Wind Industry. We are still battling on over here in the west. May the new year bring about the breakthrough that we hope for. We should thank you, STT. I’ve kept all 1500 of your posts. Journos and politicians are finally waking up to the fraud, its scope and depth. STT helped in that, but especially in making thousands of wind victims worldwide realise they’re not alone and we’re not imagining things. When the history of the wind cult (a subset of climate catastrophism of course) is written, STT deserves a chapter. So does Crikey, for which I briefly wrote, for unrelentingly rubbishing every argument against the scam. They traduced the very meaning of Left and Green. I suggest the establishment of the Wet Weatherill Foundation, dedicated to the counselling and rehabilitation of Bewildered Believers in Bad Climate Policy. Based in Adelaide, naturally. Day sessions only, of necessity. Thank you STT for all of your efforts throughout 2016. Merry Christmas from an ‘infrasonic’ Cape Bridgewater, and may you have a ‘vibro acoustic’ free New Year somewhere away from industrial wind turbines. Merry Christmas. Thanks for keeping us informed. That has been the experience with the climate change/global warming “theory” in general – none have started as sceptics and ended up believing the hoax. The exact opposite in every case I’ve known or read about. Telling. Thanks for your brilliant and tireless work STT. Probably the most detailed, informative, reasoned and fact based source of information on the wind farce anywhere. Merry Xmas and a safe and happy NY to you all and look forward to joining with you in celebrating the end of the “unreliable” energy scam in 2017. Thank you, STT. Congratulations on another brilliant year. Enjoy your very well earned rest. I hope that you and all STT’s followers have a happy, peaceful Christmas and a prosperous new year.